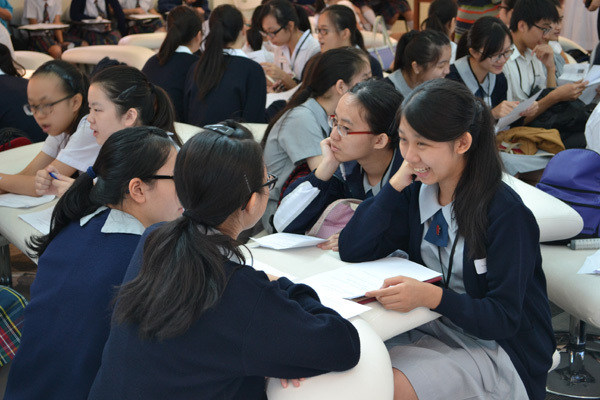 PDS Seminar 5 on “How to Improve Students’ Technical Writing Skills” was held on Tuesday, 31st May 2016, from 2:15 - 4:00 p.m. at St. Paul’s Convent School. 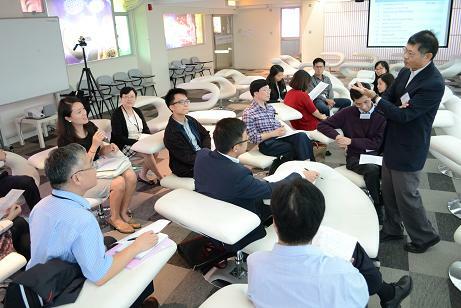 Ten participants, including five teachers from HKSYCIA Wong Tai Shan Memorial College, one teacher from Law Ting Pong Secondary School, one representative from the EDB and three staff members from our school, attended the seminar. Mr. Peter Blythe gave a presentation on the elements of a good scientific report. He elaborated on the structure of a report and provided examples of useful sentences when writing about the equipment, materials, procedures, results etc. He pointed out that students often confused the ‘results’ part of a report with the ‘interpretation’ part. To avoid this problem, he suggested that students should be reminded to keep their ‘observations’ separate from their ‘interpretation’. Regarding analysis and discussion, he suggested that students should differentiate between causality and correlation. Moreover, they should identify uncertainties and suggest how to reduce them. With reference to language use, Mr. Blythe said that while some minor inaccuracies were allowed, teachers were to encourage their students to focus on clarity and accuracy as much as possible. Teachers found the presentation very systematic and clear. The demonstrations were interesting and served to stimulate them to reflect on teaching and learning. 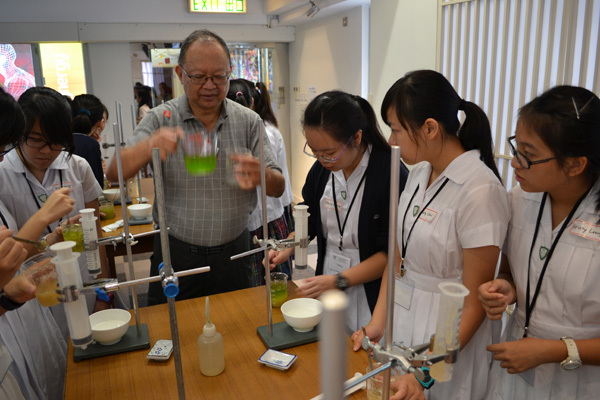 PDS Seminar 4 on ‘Demonstration & Experiment on Soap-making’ was held on Friday, 13th May 2016, from 2:15 - 4:30 p.m. at St. Paul’s Convent School. 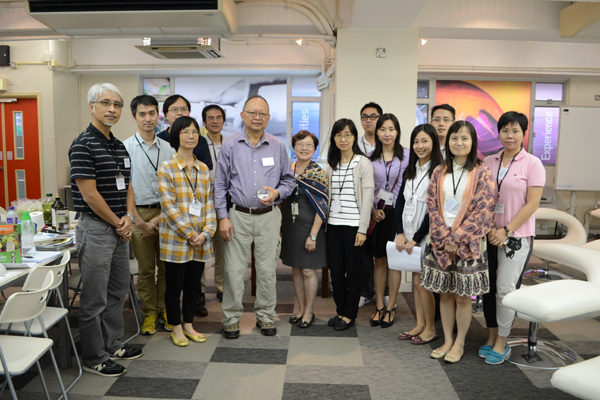 Twenty-one participants, including eight teachers from HKSYCIA Wong Tai Shan Memorial College, three teachers and eight students from Law Ting Pong Secondary School and two staff members from our school, attended the seminar. After being briefed on the learning points and procedures involved in the soap-making process, participants made two types of soaps. Not only did this give them the opportunity to enhance their skills in handling electrical equipment but they were also able to learn about the importance of problem-solving, safety and measurement when doing scientific experiments. 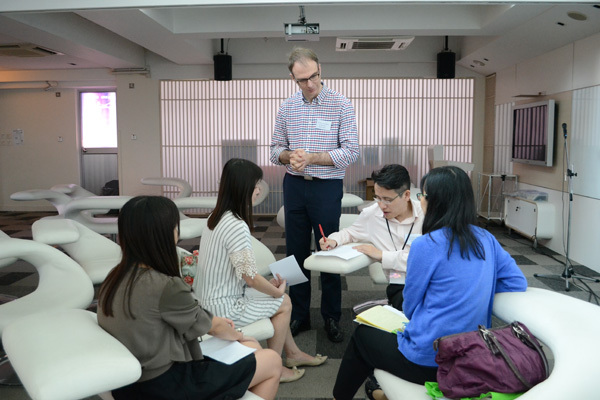 After the experiment, participants were reminded to investigate the effects of the soaps they had made on problematic skin through follow-up surveys. 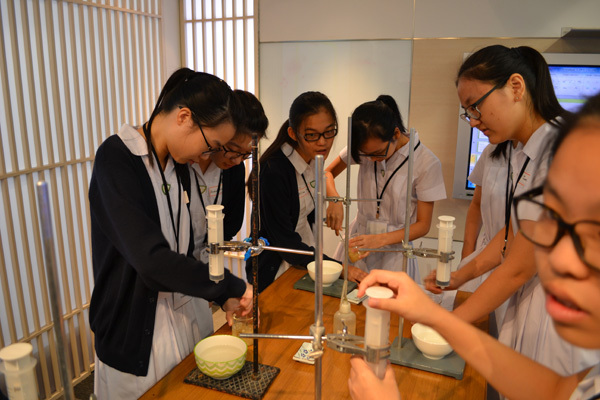 Though the procedures were simple, it was a rewarding learning experience for students. They learned that application of scientific knowledge was extremely important in the success of experiments in subjects such as Chemistry, Biology, Technology and Mathematics. 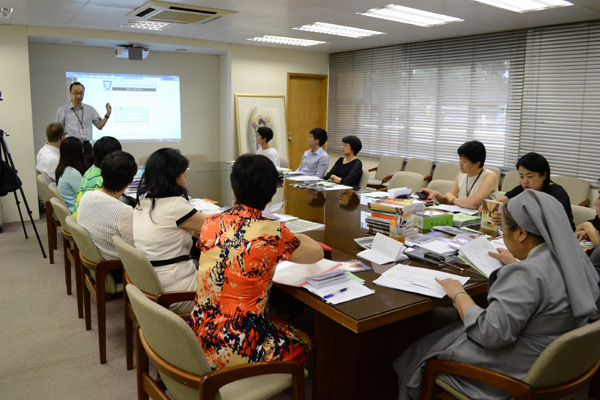 On 21 March 2016, a group of teachers from St. Paul’s Convent School attended a teacher development session as part of the 'Developing English Language Skills Through Integration of Tablets at Junior Secondary Level' project. The training session was based on 'Using iPads in the Classroom' and it was led by Ms. Alison Wood from the British Council. 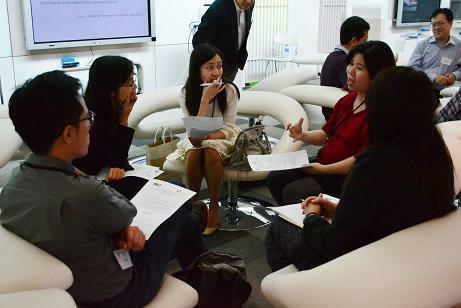 The aims of the session were to explore different apps that students could use in the classroom as well as focusing on improving 21st-century learning by improving student collaboration, communication, creativity and critical-thinking skills. Ms. Wood also introduced the SAMR concept to the teachers and how it can play a vital role in helping teachers decide on the validity of certain app-based tasks. 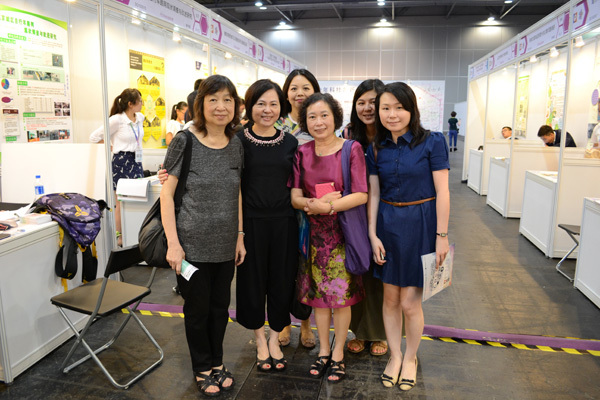 Mrs. S. Ho, Ms. M. Da Luz, Mrs. V. Au Yeung, Miss J. 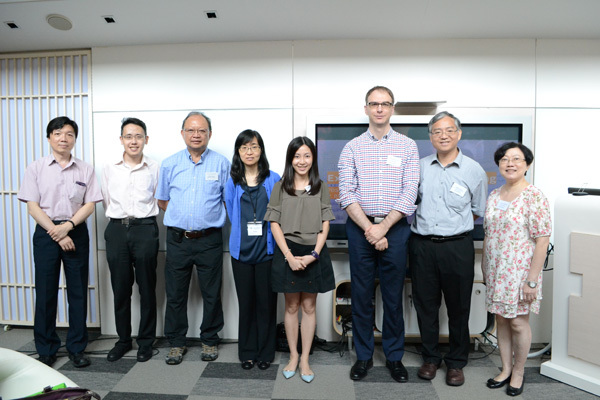 Au, Ms. K Lau and Mr. N Wong were all in attendance. 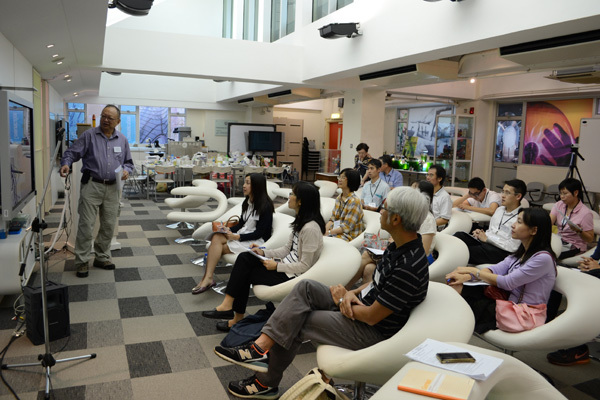 PDS Seminar 3 on ‘Experience Sharing on Setting Up an Aquaponics System’ was held on Tuesday, 15th December 2015, from 1:30 p.m. to 3:20 p.m. at IVE, Shatin, NT. 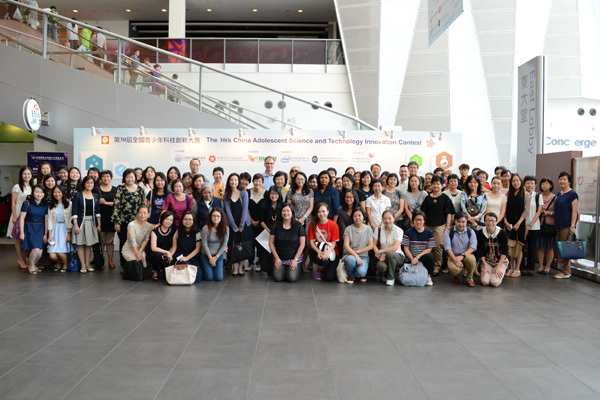 Nineteen participants, including 12 teachers and a technician from HKSYCIA Wong Tai Shan Memorial College, 2 teachers from Law Ting Pong Secondary School and 5 staff members from our school, attended the seminar. The guest speaker was Ms. Carmen Wong, an IVE lecturer. She gave a presentation on the operation techniques of the IVE aquaponics system and the possible educational projects for different levels of students. She also introduced the theory of the ‘Constant Height One Pump’ (CHOP) design system and informed participants of its set up and running cost. 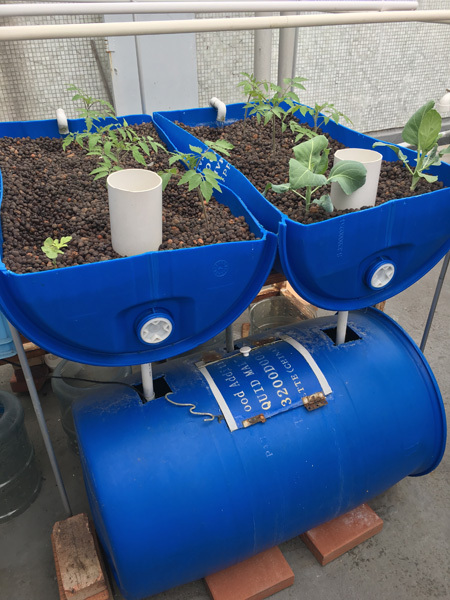 Aquaponics systems of different scales were found to be effective learning tools for students of different levels as these systems enhanced the learning of STEM (Science, Technology, Engineering and Mathematics). 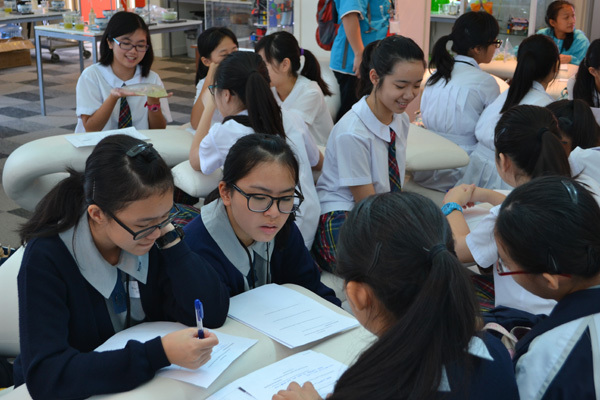 They also provided students with a broad base to apply their knowledge of subjects, such as Chemistry, Biology, Physics, Geography, Mathematics, Agriculture & Fisheries, Engineering and Technological Designs, and promoted enquiry-based learning. 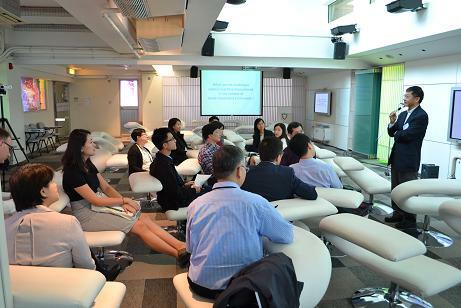 The climax of the seminar was a site visit to the Ecocube on the rooftop of IVE. 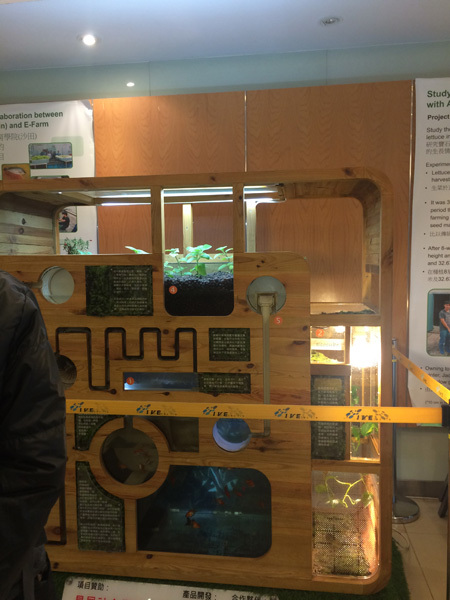 At the Ecocube, there was a floor-scale demonstration of educational aquaponics and practical issues in running the system were explained. 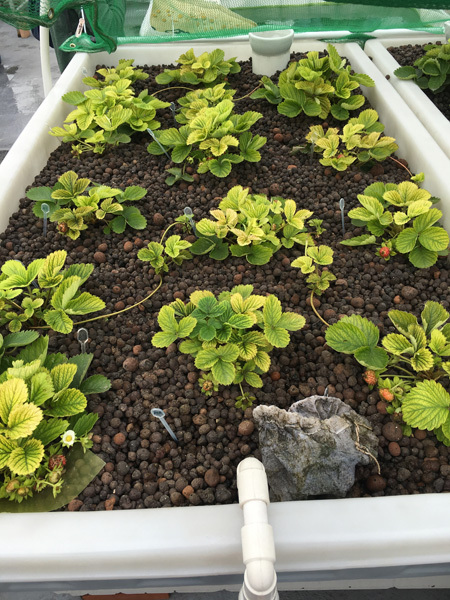 On the whole, the seminar was an eye-opening experience for participants, who were able to explore an aquaponics system that was truly exposed to environmental factors like climate changes, wind, sunshine, insect control, soil and use of organic fertilizers. 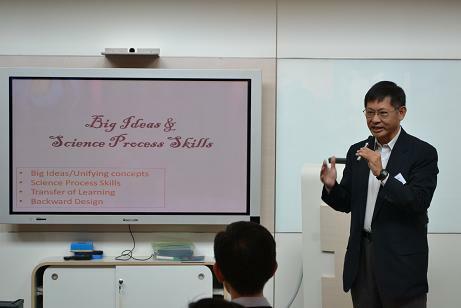 PDS Seminar 2 on ‘Big Ideas and Science Process Skills’ was held on Tuesday, 3rd November 2015, from 2:45 p.m. to 4:30 p.m. at our school. 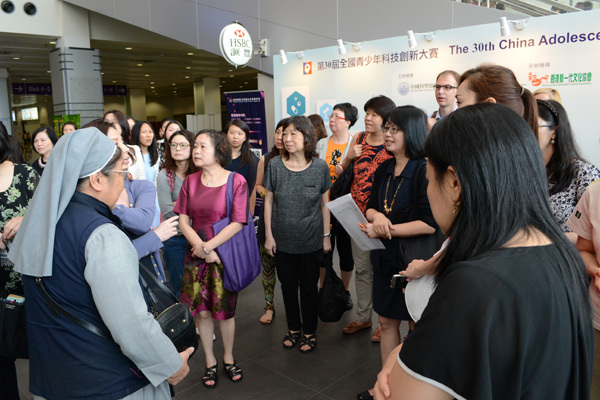 Fifteen participants, including 2 teachers from HKSYCIA Wong Tai Shan Memorial College, 3 teachers from Law Ting Pong Secondary School, I teacher from St. Paul’s Secondary School, 2 representatives from the EDB and 7 staff members from our school, attended the seminar. 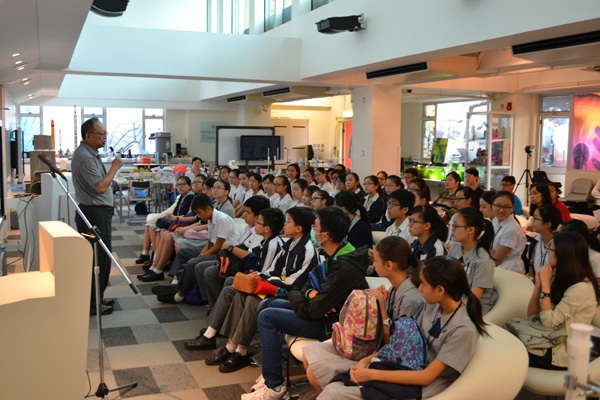 The guest speaker was Mr. Wong Chi Kin, who spoke about the unifying concepts of science, science process skills and the problems encountered by teachers in teaching the senior secondary curriculum, especially in developing students’ science process skills. Teachers expressed their concerns regarding the diversity in student ability and interest as well as subject choices. They were also concerned about the limited time students had to do experiments under the present senior secondary curriculum, which greatly affected the quality of teaching. It was suggested that teachers give further thought to ways in which their students could improve. 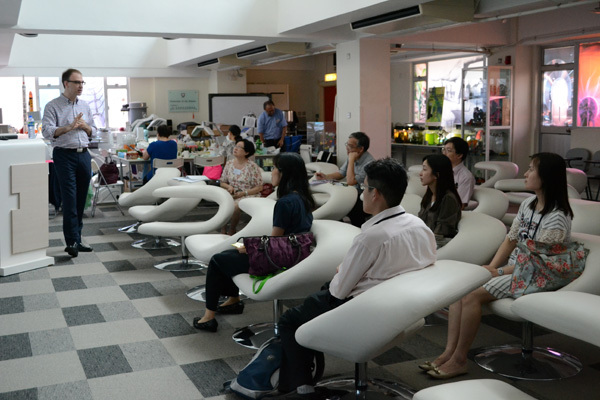 PDS Seminar 1 on ‘The Wonders of Micro Algae with Demonstration’ was held on Saturday, 31st October 2015, from 9:00 a.m. to 12:00 noon, at our school. 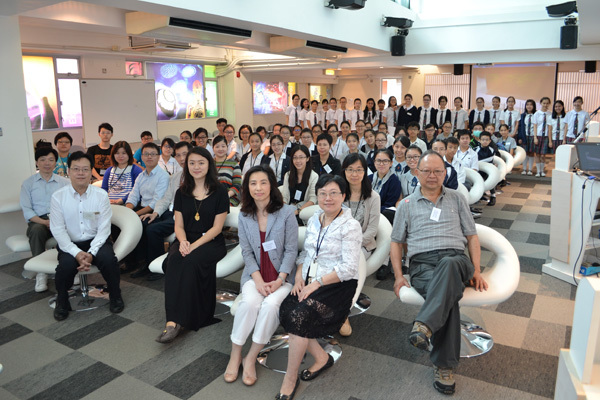 It was attended by seventy-seven participants, including 2 teachers, 1 technician and 19 students from HKSYCIA Wong Tai Shan Memorial College, 2 teachers, 1 technician and 4 students from Law Ting Pong Secondary School, 3 teachers and 18 students from St. Paul’s Secondary School, and 5 staff members and 22 students from our school. 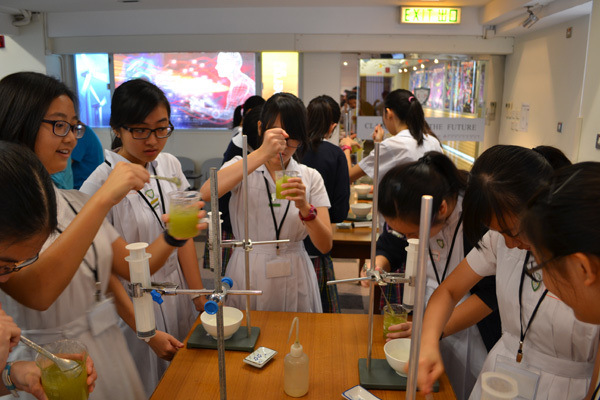 During the seminar, 66 students along with some teachers and technicians did an experiment on making ‘Algae Beads’. The seminar comprised two parts: a lecture and an experiment. 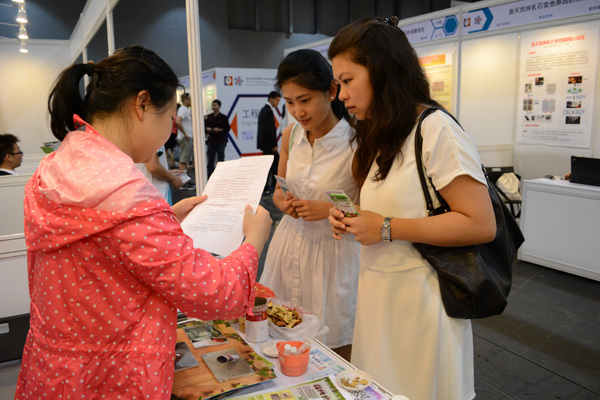 During the lecture, Miss Jane Wong talked about aquaponics, clearly demonstrating how the aquaponics system could be built. Students were very impressed by the siphon system, in which the simple process of photosynthesis simultaneously supported the growth of plants and fish. 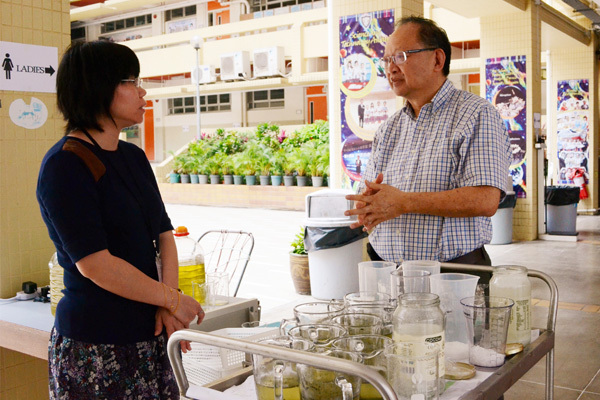 Miss Wong’s talk was followed by Dr. Albert Cheung’s lecture on the wonders and significance of algae as a source of future food and energy. 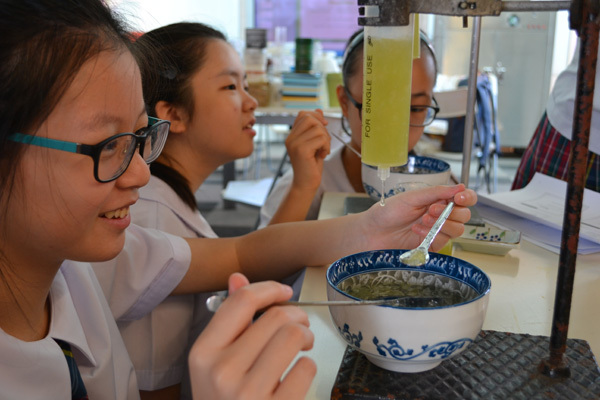 Then, students did an experiment on making ‘Algae Beads’. They all enjoyed the process very much and gave positive feedback. 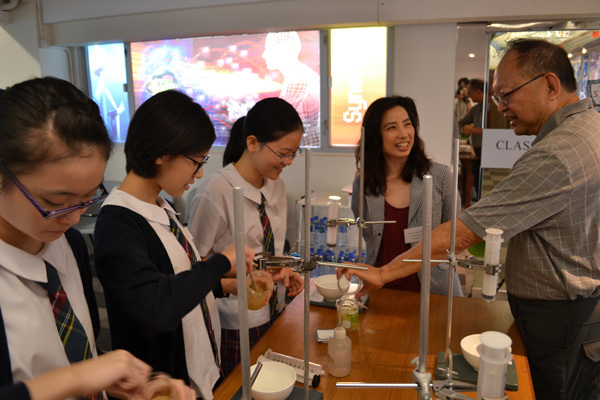 The seminar was an extremely valuable experience for students, enabling them to broaden their knowledge of science and teaching them the importance of patience and care when doing scientific experiments. Motivated to explore other topics in science, they were eager for more opportunities to do experiments together in the future. 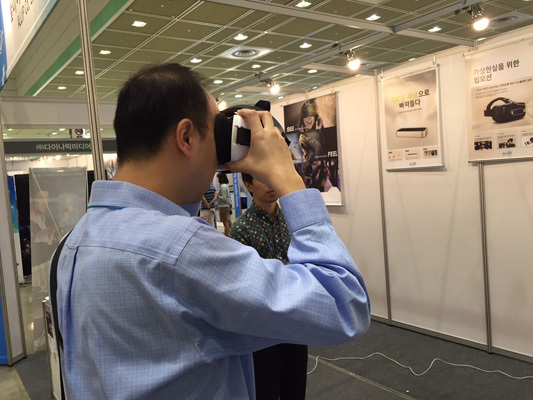 The best way to learn technology is to experience it firsthand. 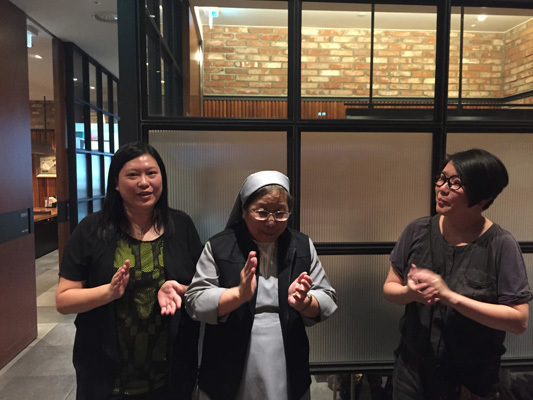 On 15th – 17th September 2015, Sr. Margaret and 3 teachers went to Korea for an IT Educational Tour. 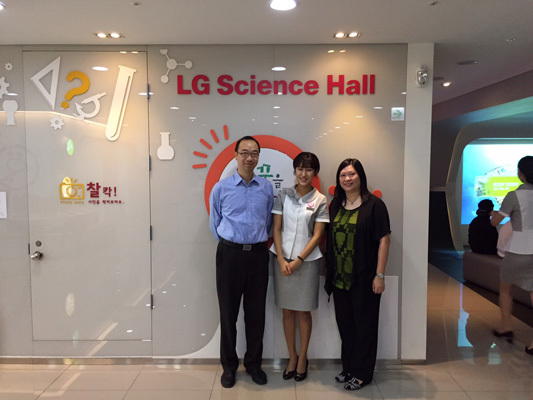 They visited high-tech sites such as the LG Science Hall, the Digital Pavilion and the Samsung d’light. 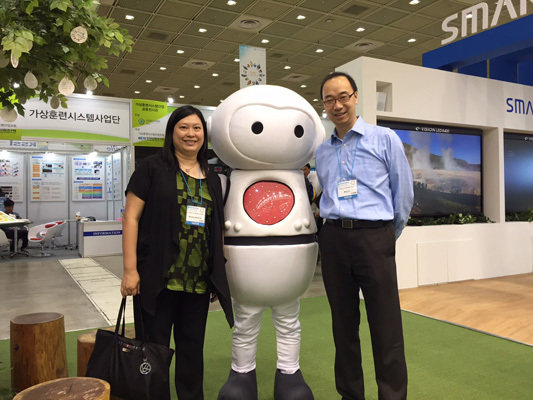 Besides, they also attended the “e-learning Expo in Korea”. 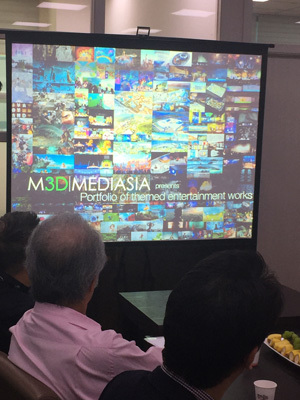 The tour is a fruitful one that featured the latest hologram, video wall, 3D printing and robot technologies that could be used in our school to enhance teaching and learning. 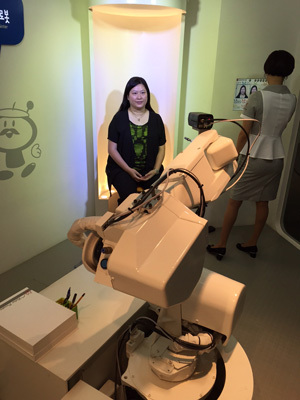 The latest technologies could also be employed to our newly built Smart Oasis. 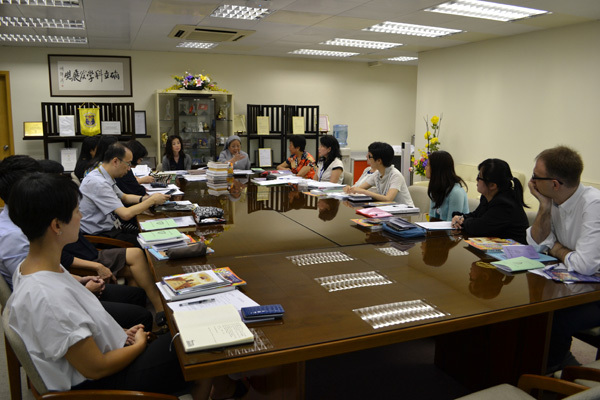 On 4th September, 2015, new teachers were invited to attend an Induction meeting with the Induction Team, headed by our Principal Sr. Margaret Wong. After all the new teachers had introduced themselves, Sr. Margaret briefed them on the school profile, including the nature of the school, our mission, vision, history, school badge and motto. She also informed them about the school’s rewards and punishment policies. New teachers were also shown interesting videos about the history of our school, produced by our students. 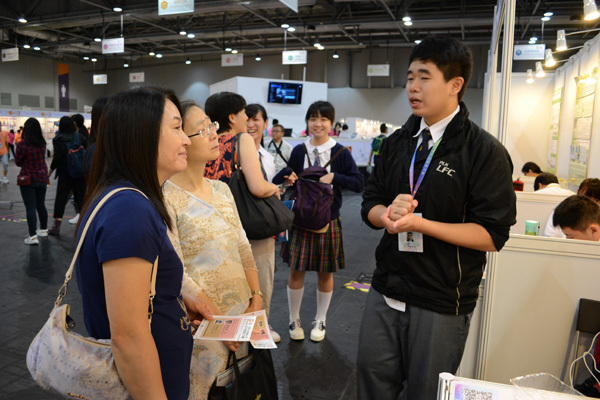 In addition, new teachers were informed about the structure of the school organization. 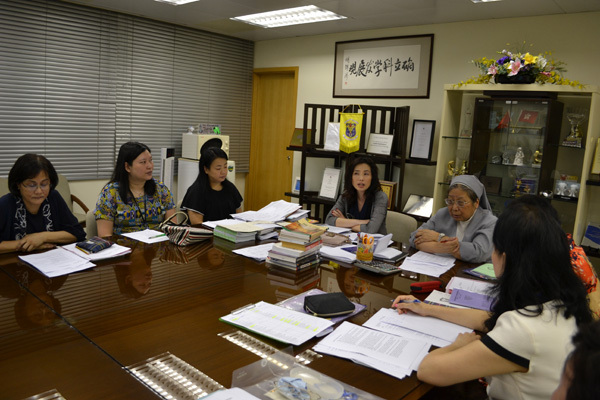 Then, Mrs. V. Lo updated them on teacher attendance and leave, dress code, students’ discipline and attendance, rewards and punishments, homework and assignments, and printing and booking facilities, so that they had a good understanding of school policies and would be able to adapt to the school effectively. Safety at school is an important issue and Mrs. L. Ko talked about the guidelines on handling accidents and the contingency plan in case of bad weather. The fire drill and escape routes were also discussed during the meeting. 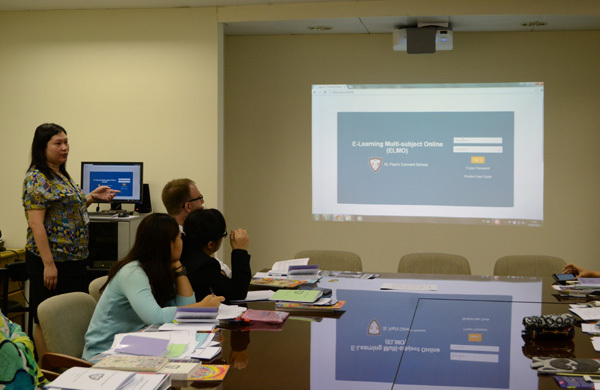 Mr. R. Li talked about the Stars system, which is the school’s Intranet platform for administrative work. 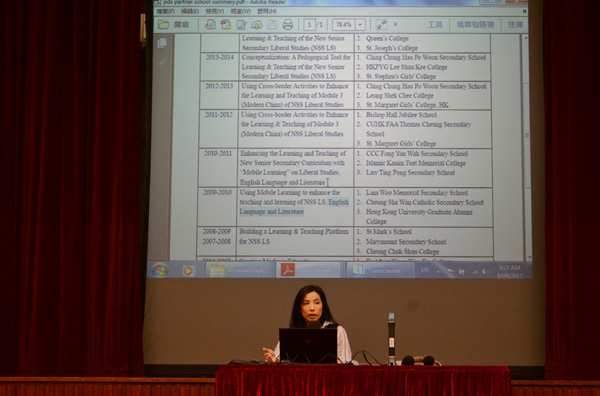 On the other hand, Mrs. P. Liu talked about how to use the e-learning platforms like ELMO and Moodle, on which students could work outside the classroom. Mrs. J. Wong provided guidelines on Copyright Laws and Gifts and Presents to new teachers. She also talked about examination and assessment procedures and the use of various forms for teachers’ records, students’ records and extracurricular activities. Last but not least, all new teachers were informed that they could seek help from administrators, teacher mentors, panel teachers and experienced teachers in case they encountered any problems during the course of the school year. 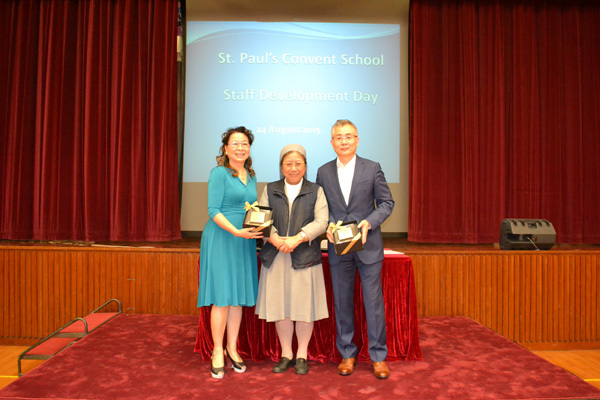 The three partner schools under the PDS project visited our school in August and October 2015. The purpose of the visits was to discuss the topics we had suggested in the PDS proposal and observe the growth of algae and the many experiments that our students had done with algae in the Classroom of the Future. It was hoped that this would help the partner schools to formulate new plans for innovative experiments in their own schools. 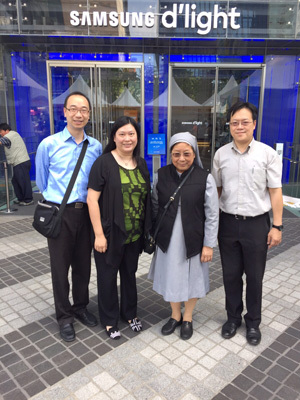 Two teachers from St. Paul’s Secondary School visited us on 31st August. 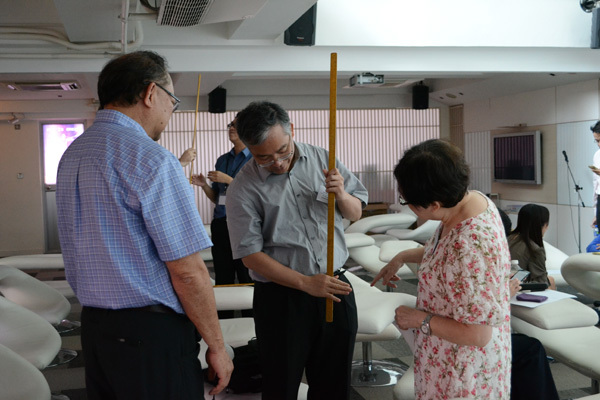 They were the Panel Heads of Biology and Physics and Dr. Albert Cheung updated them on all the experiments that our students had been done with algae. He showed them the equipment and technical support necessary for these experiments and also demonstrated the significance of algae in the ecosystem. 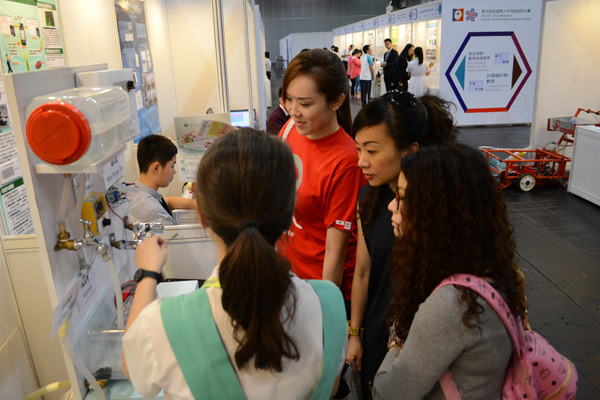 In addition, he explained how the life of algae was maintained in a laboratory environment. 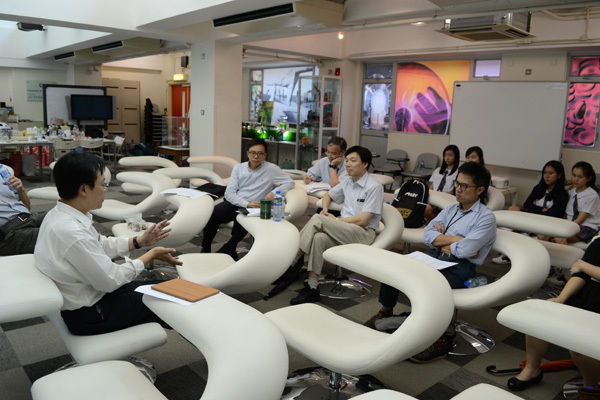 Then, three teachers from Law Ting Pong Secondary School and two representatives from the EDB visited us on 6th October. The teachers were the Panel Heads of Biology, Physics and Chemistry. 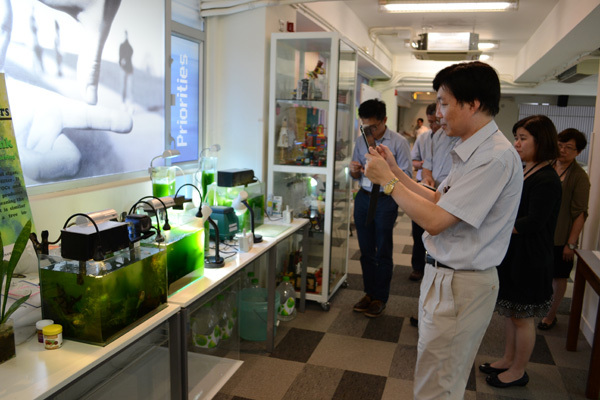 Dr. Albert Cheung and Mr. Paul Shum shared with them their ideas on aquaponics and the algae experiments. After this, they were shown several videos of our students doing different experiments involving algae, such as the one which demonstrated an increase in voltage in an algae rich environment. 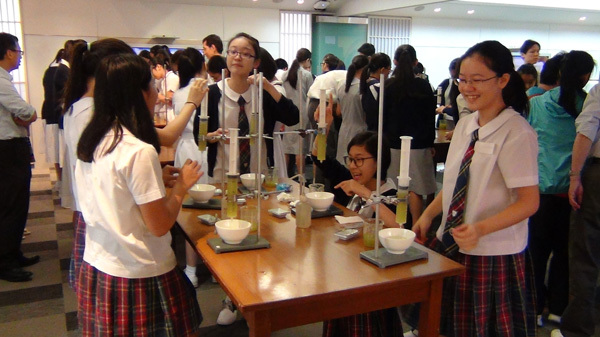 Concerns over the safety of the material of the apparatus and students’ lack of knowledge to do experiments involving algae were raised and it was suggested that the topic of algae be incorporated into the curriculum. 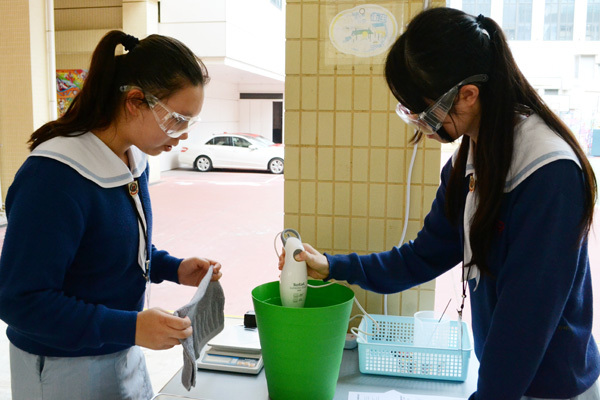 Some teachers said that this would enhance students’ motivation to learn science and meet the diverse needs of students. 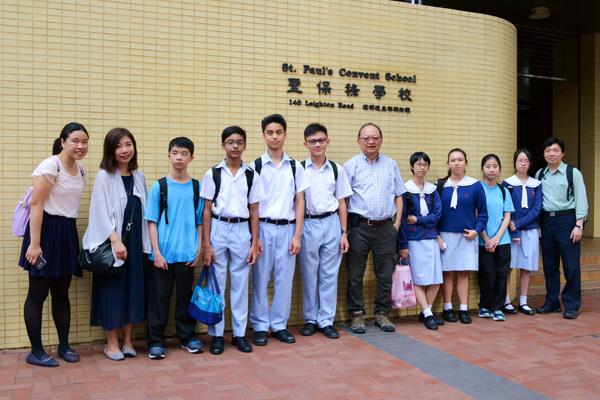 Last but not least, twelve teachers, including the Vice Principal, Panel Heads of science subjects, teachers and a technician from HKYSIA Wong Tai Shan Memorial College as well as a representative from the EDB, visited our school on 9th October. 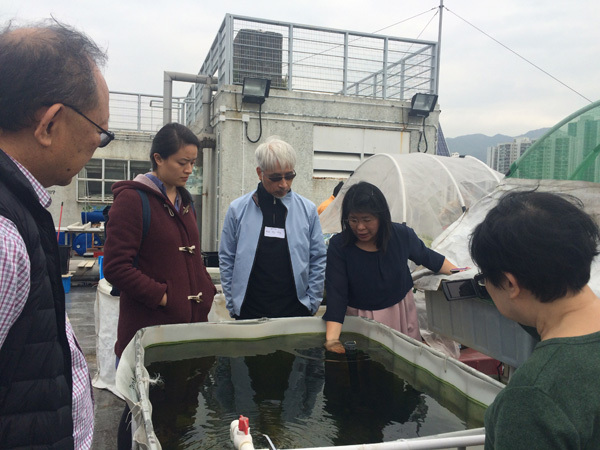 Dr. Albert Cheung talked to them about algae growth and the role of algae as a source of food and fuel in the future. Teachers were very enthusiastic and agreed that the algae experiments should be done at their school to allow students to apply their knowledge of science and technology. 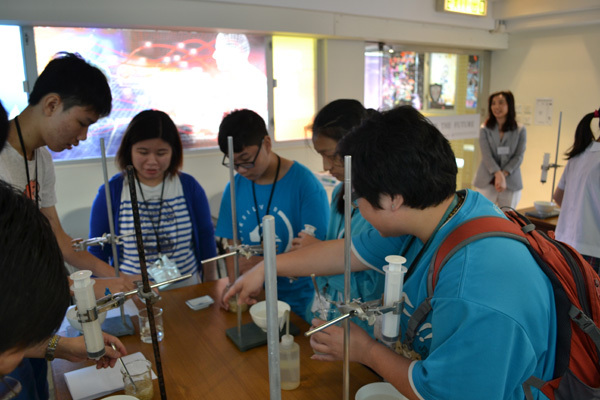 They were eager to start immediately and took a sample of algae back to their school for culture. 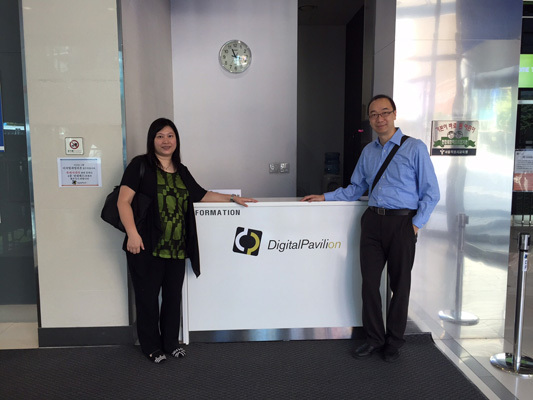 Overall, our PDS partner schools found the visits very fruitful and stimulating. 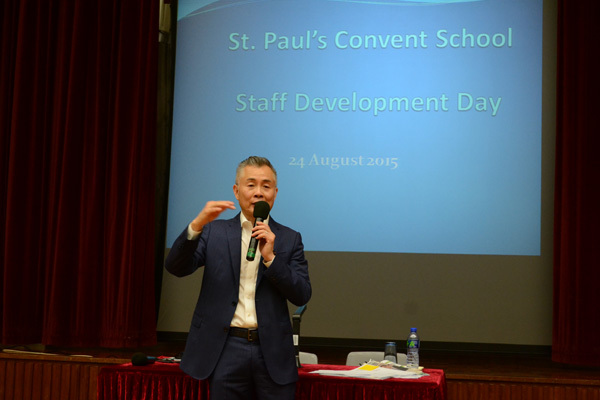 On 22nd and 24th of August, 2015, all staff were invited to participate in staff development activities. 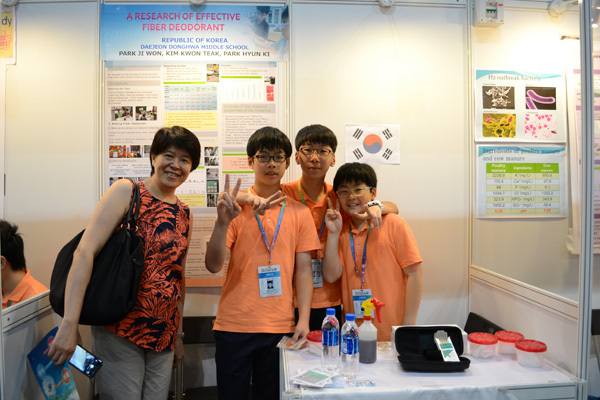 On the 22nd transport was laid on to take everyone to the 30th China Adolescent Science and Technology Innovation Contest at the Asia Expo venue on Lantau Island. It was amazing to see the inventiveness of students from so many different schools, and the creativity extended from robotics and weaving, to aeroplane cabin air filtration systems. Staff learned that the enthusiasm and inspiration of youth is one of the greatest resources any school possesses. 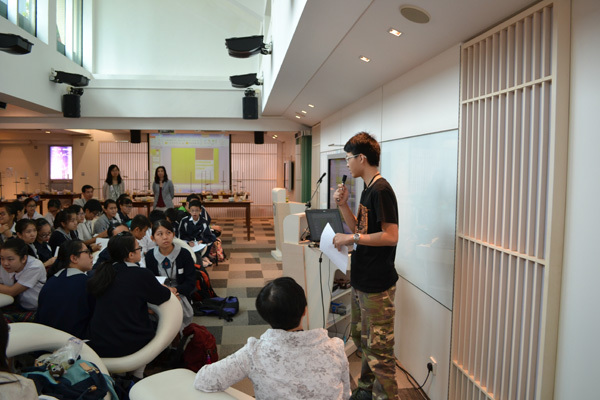 The 24th was comprised of school-based speeches in the main hall. 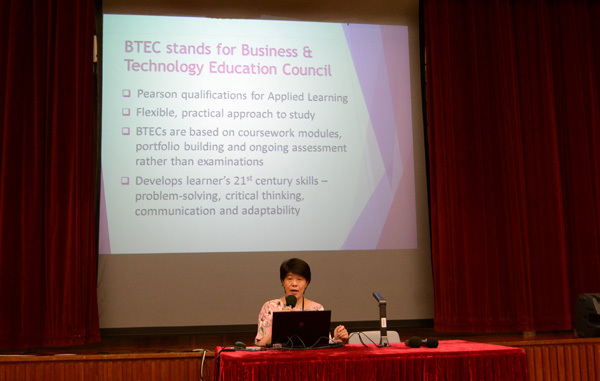 Mrs Lydia Lam began with a focussed and precise explanation of the seven new and exciting BTEC Courses, and everyone was impressed to discover that SPCS was the first local school in Hong Kong to develop this learning area. 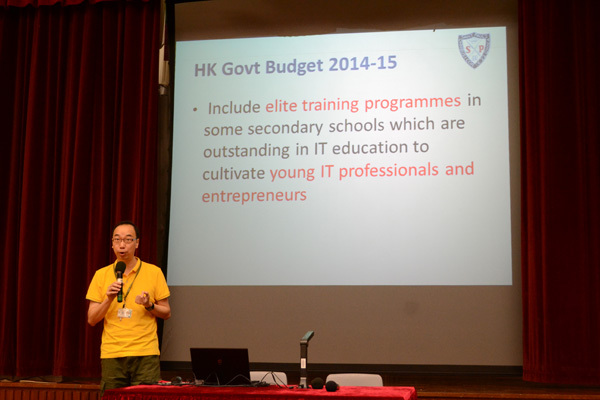 Mr Roy Li then complemented this by explaining about the new IT initiative (EITP) which aimed to push the elite IT students of the school on towards exploring and innovating in the world of technology. Finally, Mrs Jenny Wong gave an erudite explanation of the main school priorities for the year under the theme of ‘Beyond Excellence towards Sustainability’. 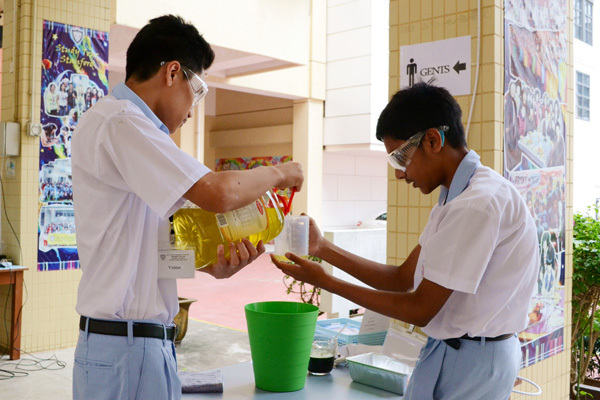 These priorities are to continue to diversify the school curriculum, to implement new educational initiatives (such as BTEC and EITP), to act as a Professional Development Hub School in Science, and to develop areas of excellence in all subjects generally. All this was then followed by an informative lecture by Mr Gilbert Li, of Marsh HK Ltd, on Risk Management, Safety & Contingency Issues. Everyone was made well-aware of their ‘duty of care’ for the student body and given useful advice on how to react should accidents ever occur. These are timely reminders for all in this age of litigation.